PINELLAS COUNTY, Fla. — After last school year's shooting in Parkland every school district in Florida is looking for ways to keep kids safe in school. "I think Pinellas County schools acted very responsibly and did their best to follow the requirements put on all of our schools," said parent Laura Hine. One of those requirements includes monthly active shooter drills. 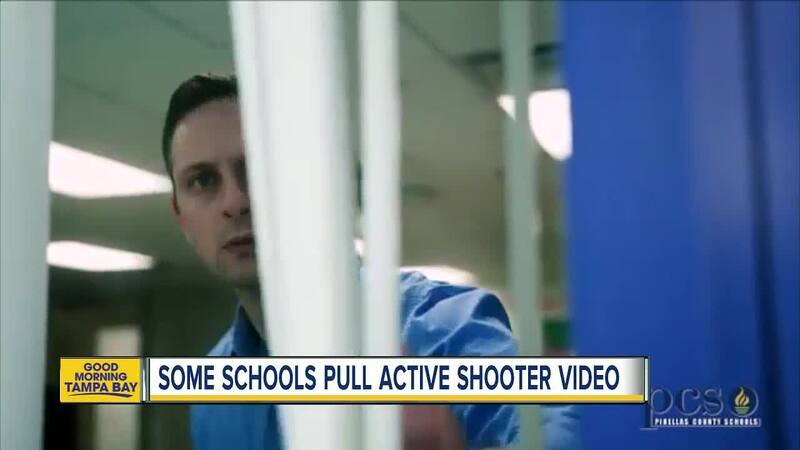 Along with those drills, Pinellas County produced active shooter videos for the elementary, middle and high schools. Some parents say the videos are too intense for students. Hine says the videos also aren't going to keep her son safe from a shooter, but that it will chronically teach him that the world's not a safe place to be. She said that's not what she wants for her son or any other kid. Parents took their concerns to district leaders. The video will now not be shown in the elementary schools. The district will keep the video on its website. It is up to parents to decide whether or not to show the video to their kids. Middle and high school students will still be shown the video. Hine and other parents say they should not be forced to see it either. ABC Action News talked to a child psychologist who agrees and offered another alternative. "Maybe a psychologist can go into the schools and train the parents," said Dr. Stacey Scheckner. Dr. Scheckner said if the district is going to keep the videos, officials should think about reshooting them and leaving out phrases like "assailant" and "active shooter situation." "That's going to instill fear and the kids are not going to even want to go to school," Dr. Scheckner said.